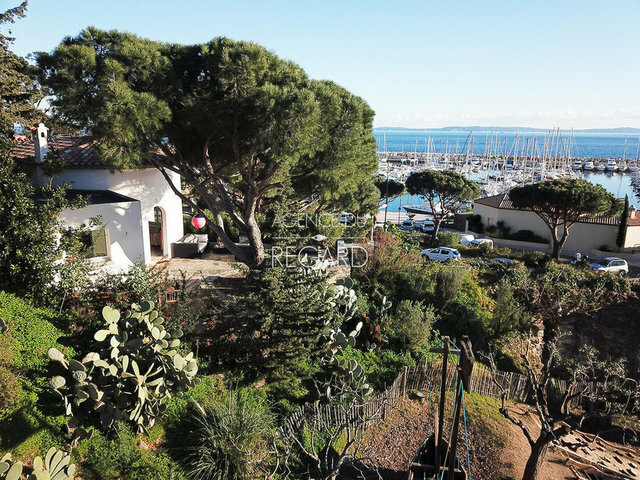 Facing south, this property of about 724sqm is located on the port of Le Lavandou. The shops and a beautiful sandy beach are so close. Charming house of approximately 126sqm, built in 1930 on two levels then enlarged in 1966 and completely renovated in 2017. It is extended by a large terrace overlooking, which enjoys a beautiful view of the sea, the port of Le Lavandou and the island of Levant. Beautiful sunrises and sunsets will be at the appointment. 4 bedrooms including a master suite with 4 bathrooms. Private parking for 6 vehicles. Workshop.